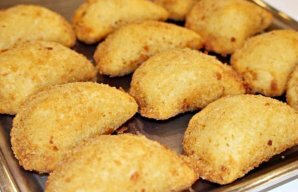 This Portuguese banana dreams recipe (receita de sonhos de banana) makes an amazing and decadent dessert or snack. Mash the bananas with a fork and mix with the 2 tablespoons of sugar and the 1 and 1/2 cups of flour. Whisk together the milk and the egg, then stir in the banana mixture to form a batter and set aside. Mix together the cinnamon and sugar to taste in a separate bowl and set aside. Heat the oil in a deep fryer or saucepan to about 180°C or 350°F (If you use a saucepan, leave on low heat once it reaches the recommended temperature). 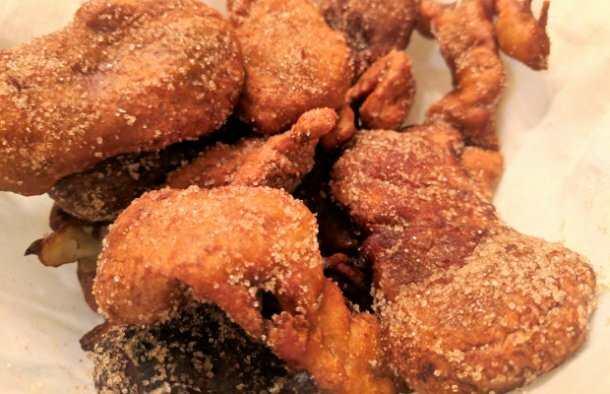 Pour 1 and 1/2 tablespoons at a time into the hot oil and fry for about 4 and a half minutes, turning them over while cooking, until they are golden brown. Drain the sonhos on paper towels and serve dusted with the cinnamon and sugar to taste. 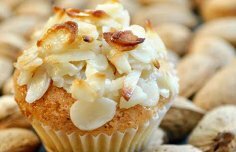 How to make Portuguese almond tarts. 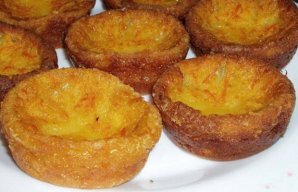 These Portuguese orange and milk tarts (queijadas de laranja) are incredible and very easy to make.